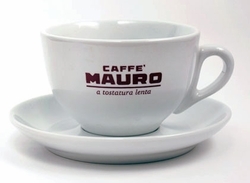 The Mauro Special Espresso Ground Brick is a excellent and rich blend of coffee that has a very high percentage of Arabica. 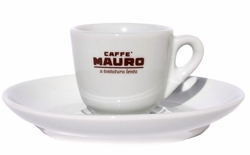 60% Arabica 40% Robusta - This full-bodied and aromatic tasting espresso machine blend is made from the best Brazilian and Central American Robusta and first-class Asian Robusta. It's specifically roasted and ground for using with modern Espresso machines. 250 gr. (8.8 oz) ground bag. (By case only). I always buy special ground Arabica perfectly roasted. This coffee has a delicious taste and aroma. I purchased a packet yesterday, and it is once of the nicest blend i have ever tried. I get really good creme with my shots, and the taste is just superb.